There are many benefits in taking part with online banking, and the first is being able to take care of your banking needs whenever you want without having to visit your bank. You can do bank related activates while you are lying in your bed 24/7. This is where online banking beats ordinary over the counter banking, as when you go into a bank, you have to follow that bank’s rules. This could mean having to wait in long lines just to get to talk to someone about your financial issues, or it means you can only use the bank when it is open. Online banking in Australia clearly wins here as you are able to do your banking at anytime you want and wherever you want without having to wait in a long queue just to get your issue resolved. The next benefit of online banking is that you have the ability to view the recent transactions that you have made while you are online. This is great news as it means that you can see if anyone has used your bank details to make purchases that are unbeknownst to you. This feature alone is powerful as you will be able to spot any suspicious activity and once spotted, you can immediately contact the bank to pause your account. A reason why many internet users are against online banking is that they do not feel that they are secure online. On the contrary, online banking is by far one of the most secure activities that you can do online. For example, for you to even log in to your online bank account you are going to have to type in your unique login number. Your login number is unique and only known to you. The only people who might know your login number would be you and your bank, so as long as you do not tell anyone about your login, you should be fine. The second point on the security of online banking is the ability to add a personal question to your account login process. This is a great feature as it is only you who will be able to answer the very personal question. Even if a hacker knows your unique login number they will still have to know the answer to your personal question. Australian banks also offer some of the best online banking experiences in the world. 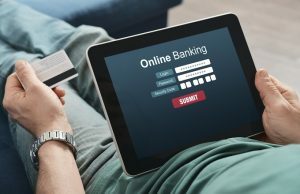 So which Australian banks offer the best rated online banking service? Commonwealth bank is very popular among online banking. The reason to why this bank is very popular among online banking is because this particular bank has branches all over the world. For example, this bank has branches in not only Australia but other places as well such as the UK and USA. This is great news for clients of the bank as it makes the transfer of money overseas a whole lot easier and faster. This is because you can open a different account overseas with the same bank very easily. This is possible as by the transactions taking place within the same bank, it will make processing the money far quicker as there is no need for other banks or outside parties to be involved, as the money is just moving to a different branch of the same bank. The second bank that I am going to talk about is Westpac Banking Cooperation. This is a great bank for online banking within Australia as this bank has an incredible feature for automatically paying your credit card bills. The feature I am talking about is called, Card Autopay. If you enable this feature what it does is it automatically pays your credit card bill each month. This is great news because let’s be honest, we all forget to pay our credit card bill sometimes. This is bad news as for when this happens our credit card bill will get larger so by it automatically paying the debt you will never fall behind on your credit card bills. The next bank is National Australian Bank. This bank is incredible for online banking as it regularly advertises that it has its own mobile app. This app has a feature that is known as, Quick Balances. What this feature does is that it allows you to quickly check the balance of your account without actually having the whole hassle of logging into your account. To enable this feature all you have to do is click on the quick balance feature and enable the feature. This means once you are on the home screen of the app all you have to do is swipe left, and it will reveal your overall balance. It is important to know that the Australia and New Zealand Banking Group (ANZ) is the fourth most popular bank in Australia from a market capitalisation standpoint. By being so popular, it obviously stands to reason that they have to be good at online banking within Australia. Well, ANZ cares a lot about their security, and that is why they are giving away security software for free. Their customers are offered MacAfee LiveSafe for free for the first six months. This is great as this special software protects you from all kinds of virus’ which will make online banking a lot safer. The final bank that I am going to talk about is the Macquarie Bank in Australia. This is one of the many banks that are compatible with the Apple pay feature. Macquarie Bank allows your bank account to be added to your iPhone Apple pay feature which allows you to pay for items from your bank account on your mobile phone. This means greater personal security since there is no need to carry all your cards with you or even a whole lot of cash. Online banking is by far the future of banking as long as you do it safely. Australian banks also offer some of the best online banking experiences in the world. The main benefit is obvious. Online banking allows you to do any type of activity related to banking whenever you want and avoid the long queues at the bank. Now, remember to practice safe banking when online – keep your computer or mobile virus free and do not tell anyone your bank details. This should keep you safe while online banking!